Dominic Raiola will be missed. Inexplicably, there are many Detroit Lions fans who don’t like the guy who has been the Lions center for 14 years, the starter for 13 seasons. He is from Hawaii, but he is more like Detroiters than some will ever know. He worked hard, wanted to win and was all about the team. Yes, he could be prickly that’s just who he was. Don’t think for a moment he didn’t appreciate the fans, he did. He loves Detroit and is a big fan of the Tigers and Red Wings, not to mention Kid Rock. Really through the brutal seasons (and there were too many) he gutted it out. He always was optimistic (never moreso than this season) and fought hard to keep his spot on the roster. He played for five head coaches and never lost his starting role. He took a pay cut after the 2012 season, had one of his best seasons in 2013 and earned a pay raise. But it wasn’t all about the money. If you ever would have a chance to see Raiola after a big win or a devastating loss you would know he took it personally. There are tears in football and Raiola shed a few of them. Raiola knew that 2014 might have been his last season. He wanted at least one more. It’s likely what made the playoff loss at Dallas more painful for him. Raiola turned 36 on Dec. 30 which, as we all know, is old in the NFL. All good things must come to an end. 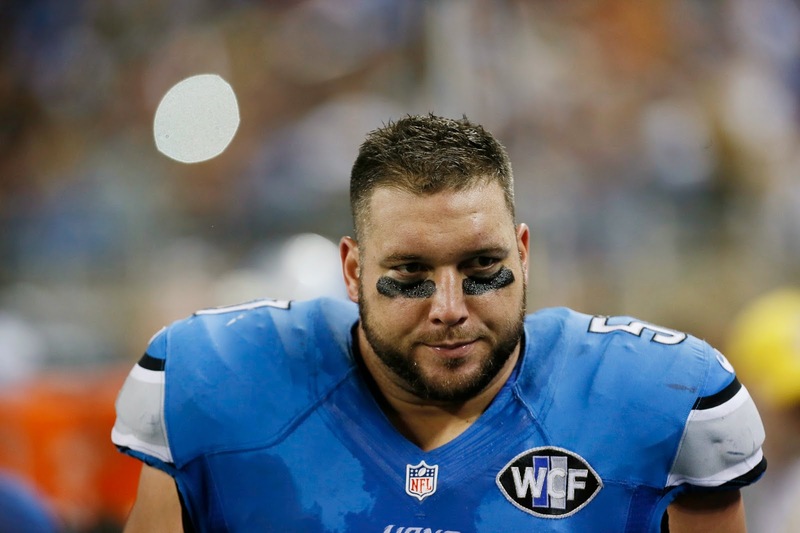 The Lions have told Raiola they won't re-sign him for 2015. To Raiola’s credit, he is the one who helped prep Travis Swanson to eventually take over his job. And really he seemed happy to do so. Again, he was all about the team and earned the utmost respect from his teammates. Raiola’s career should be celebrated, not dismissed. He was always there and he always fought hard. In 14 seasons he missed just one four-game stretch in 2008 with a hand injury. He also sat out the final regular season game in 2014 due to a suspension. Fourteen seasons, five games missed. Every one played with all he had. That is remarkable. Thank you for all you did, Dom. Love you or hate you, all Detroiters have to admit you fit in Detroit like few pro players ever have. I'm glad you at least got to see the Promised Land, even if you never got to actually get there. Good luck, and godspeed.